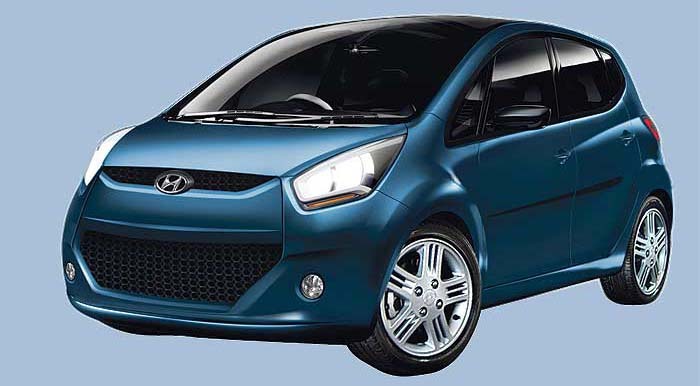 According to reports, Hyundai Motor India’s smallest car offering is scheduled for launch as planned in January 2012. The Korean automotive giant sees this small car as a significant part of their business strategy in strengthening their market share. The small car market which the company is aiming to target with their new car launch is quite a huge and significant market for any car manufacturer to stay away from. The company’s senior director of marketing and sales, Y.K. Koo, said that they their research teams in many locations have already begun work on the car, including their global R&D facility in Korea, as well as the design centre based in Hyderabad. He added that they have already completed the design work and are scheduled to launch it later in the year after they have completed other tests. Koo had said during the recent launch of the new Verna that HMIL will be bringing new series of models in the Indian auto market, beginning with the Sante Fe, which is an SUV, following with the Hyundai i-10, the i-20 and the new updated Santro, and the recent fluidic series of Hyundai Verna sedans. The company managed to sell around 3.56 lakh in domestic markets in 2010, expecting the sales to reach 4 lakh in this year, increasing their market share to 20% compared to last years 19%. The company plans to make this growth a reality by maintaining current volumes as well as selling around 4,000-5,000 Hyundai Verna models in a month. What would be the price of the new small car and when it will be launched in india.